Welcome to All Star Event and Party Rental!!! Cincinnati and Dayton, Ohio's Best Source for Jump House and Water Slide Rentals! Please call if you have any questions or if you don't see the bounce house or water slide that you're looking for. We can always customize an order to meet your needs and budget! Welcome to All Star Event & Party Rental! In and around Cincinnati, Ohio, we call them jumphouse rentals. 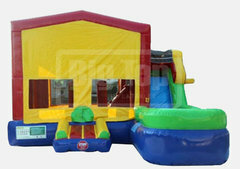 People looking to rent in other parts of the country call them bounce houses, fun jumps, moonwalks, spacewalks or inflatables. Some people even call them those kids party inflatable things. Whatever you've known jump houses to be called, one thing is for sure: All Star Event and Party Rental is your destination for Cincinnati jump house and water slide rentals! 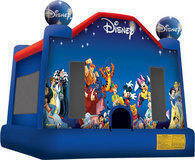 We only rent officially licensed jumpers like our Disney, Disney Princess Castle, and Spongebob bounce houses. We also rent combo units and water slides to Cincinnati, Dayton, and their surrounding areas. So, whatever you want to call them...give us a call, or reserve on-line and we promise to deliver a great time! Want lots of fun? We bring the fun to you! 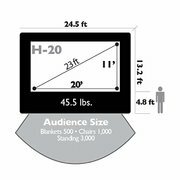 We offer delivery of all of our jumphouse rentals to Cincinnati, Dayton, and all surrounding areas. We also setup and takedown all of our bounce houses and waterslides so all you have to do is have fun! In addition to bounce houses, we also rent a huge (18ft) Water Slide which can also be used as a dry slide. 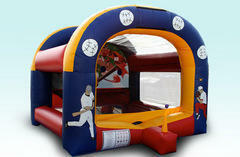 We even have combo units that come with a bounce and a slide. Maybe you want to try a little boxing in our 15 x 15 Boxing Ring with oversized gloves and head gear? Or perhaps you want to try to hit a Home Run while using our Tee Ball Game? We are Cincinnati's and Dayton, Ohio's leader in inflatable bounce and slide rentals! Whether you want a jump house, or a water slide, All Star Event and Party Rental has the perfect inflatable rental for you! We can handle every type of event, from backyard birthday parties, to block parties, family reunions, and even corporate events! All of our jumphouses, and water slides are BRAND NEW and ready to rent........Don't Forget ALL RENTALS are for 12- HOURS, that's the longest in the Cincinnati and Dayton area! Order online or call to reserve your party now.